Line the interior of the Instant Pot Multicooker with parchment paper. In a large bowl, whisk together the eggs, milk, mustard, salt, and black pepper. Add the bread to the bowl and let sit, tossing occasionally, until nearly all the egg mixture is absorbed, 5 to 8 minutes. Fold the onion, ham, and cheese into the bread mixture. Transfer the mixture to the prepared pot, cover with the lid, and press Bake. Adjust the temperature to 350°F and the timer to 2 hours. Cook until the mixture is set, about 1 1/2 hours. Press Cancel. Use the parchment to transfer the entire egg bake to a serving platter. Serve with a green salad (if using). This is NOT an instant pot recipe. “Bake” is not a feature of instant pot. This is a multicooker instant pot recipe. Instant Pot is the brand name. 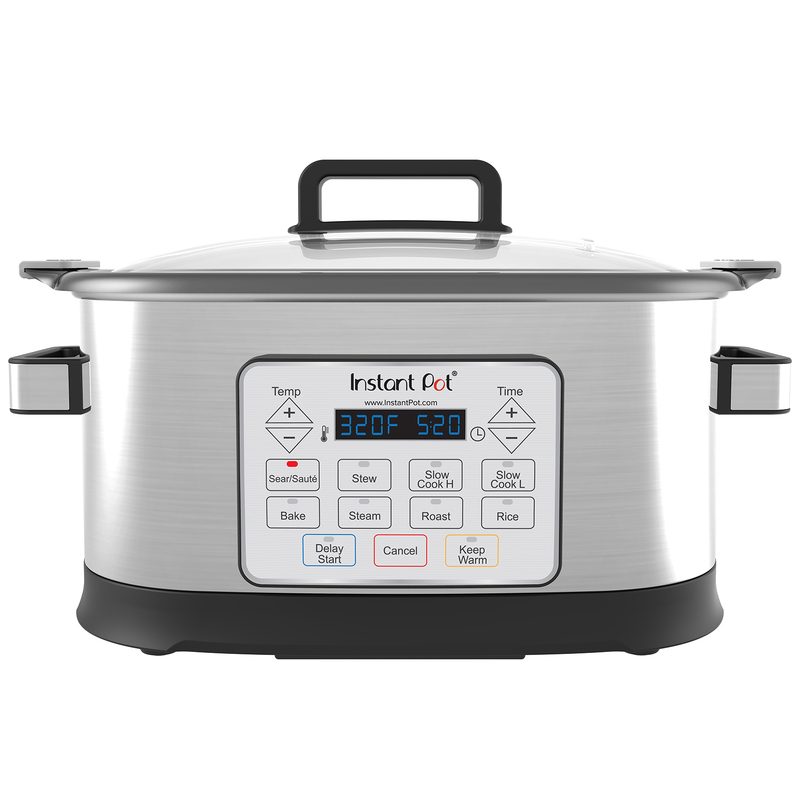 On the Instant Pot app we have recipes for all the products we have developed, this includes our well know Multi-Use Pressure cookers, as well as, our newer products like our Multicookers and Blender. So what would InstantPot users use instead of the “bake” setting? This recipe was designed specifically for our Instant Pot Multicooker line and not our Multi-Use Pressure Cookers.